Last weekend I flew down to Fort Worth to attend the wedding of my foodie soul mate (whom I talked about in an earlier post) and his lovely bride. Not surprisingly, my visit included some delicious things to eat. 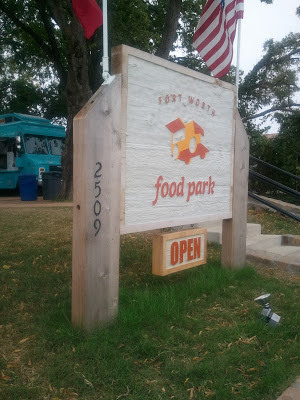 On the first day I was there, while we waited for others to join us, we headed over to the Fort Worth Food Park, a privately-owned spot where trucks can rent space. 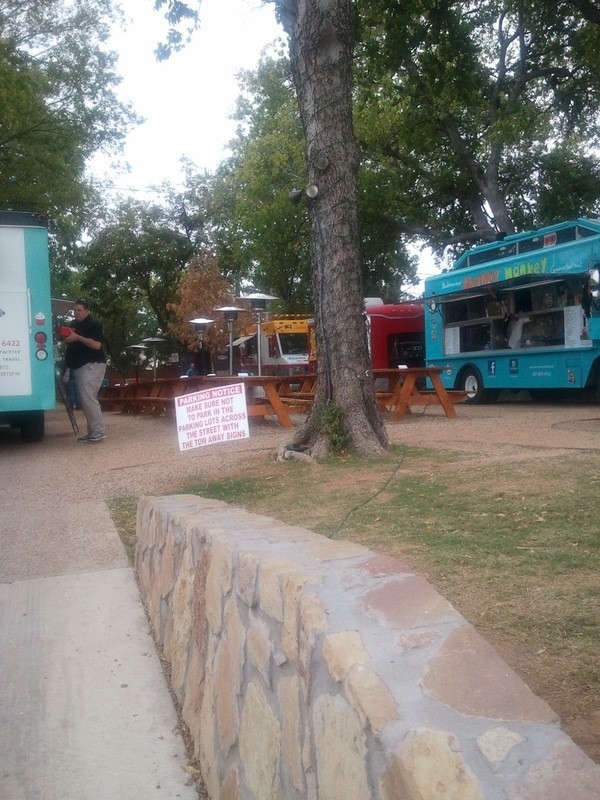 It's a great area with picnic tables and music and had the day not been cold and windy - it was about 43 degrees - undoubtedly we would have seen many fellow diners in the park. My friends told me of summer evenings when the park was packed with diners. Instead, we made our selections and headed home to the warmth of their apartment. The problem, of course, was narrowing down our selections. Everything sounded good and had their been more time during my visit we definitely would have been back. But since we were meeting friends for lunch and this was going to be a little "snack" to tide us over, we "limited" our selection. You will likely laugh at this description when you see what we ate. We started with The Drifting Bistro's not-so-traditional Shrimp & Grits. This was my favorite dish with panko crusted fried shrimp served over corn & cotija cheese grits with a Fuji apple slaw. 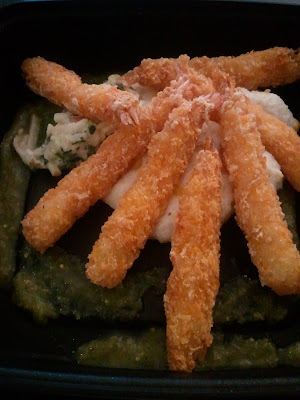 There was also a delicious green sauce with it but I hate to say I can't remember exactly what it was, maybe something with tomatillos? 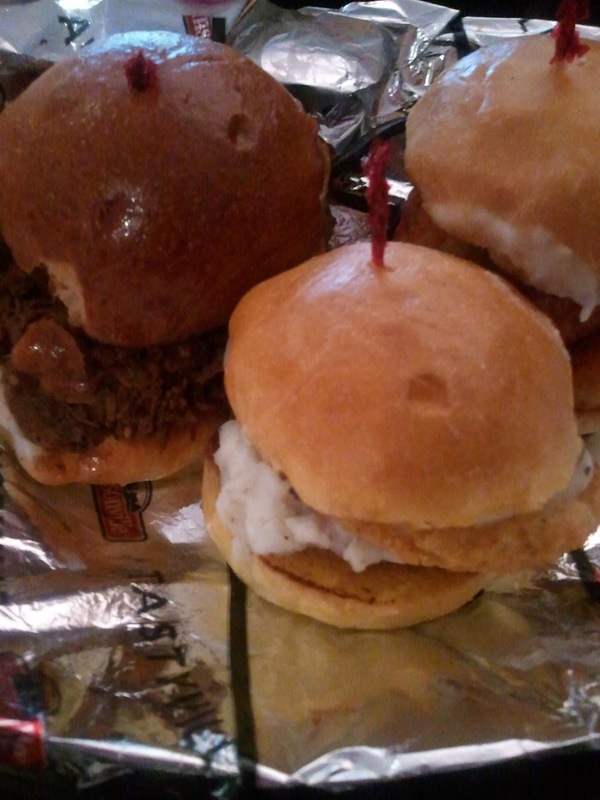 Then we added on a selection of sliders from The Butcher's Sons. At the time I didn't realize truck was part of the Johnsonville Sausage company but it really didn't matter. The food was delicious. It was hard to decide which sliders we wanted to try so we took some suggestions from the guys working in the truck. We added on an order of lime salt tots - sooo good. 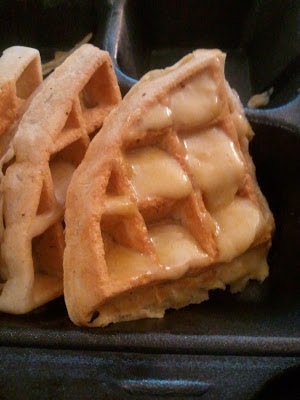 And of course there needed to be something(s) sweet to balance things off so we started with a pumpkin spice Belgian waffle with pumpkin cream cheese from the Mediterranean Chunky Monkey truck. 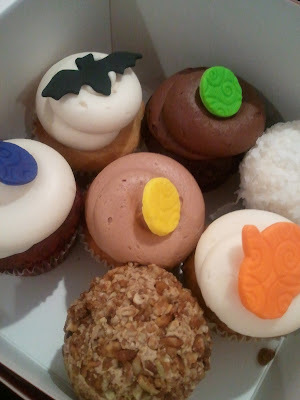 Followed by a selection of cupcakes from Red Jett Sweets including Bananas for Nutella, Red Jett Velvet, The Coconut Comet, and Chocolate Echo.